Originally Bargelink was founded on 1.1.2001 in Rotterdam as Bargelink.com N.V. The founders BP, Vopak, Petroplus, Marquard & Bahls and Booz & Company inteded to build up an online marketplace for the inland shipping market for liquid bulk. Bargelink.com started on March, 5th 2001. But very soon it was clear, that there where better opportunities in the dry bulk market. On September, 3rd of 2001 this module was launched. Since this time Bargelink.com wrote a remarkable success story. Despite an initial resistance allmost all relevant shipping companies are “on board” now. The list of registered companies is a who-is-who of the European inland shipping industry. Every month there are about 2.000 barges and up to 500.000 tons of cargo offered. Bargelink is managed by Axel Götze-Rohen (52). Axel is working in the logistics business for more than 30 years. After his apprenticeship as shipbroker Axel worked for several inland shipping companies in Germany, Switzerland, England and the Netherlands. For two years Axel managed a shipping department at DB Cargo AG, the freight branch of Deutsche Bahn (today DB Schenker Rail). Jan Noorlander takes care of the Bargelink helpdeks in Dordrecht, The Netherlands. Jan is on board since the very beginning of Bargelink and nows the system like the back of one’s hand. He is able to give an answer to allmost every question – in durch, german, english and french. Jan is also head of our testing department in case of new features. 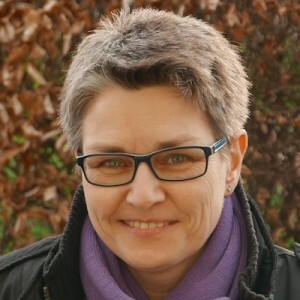 Dr. Anja Rohen is partner and counselor in a lot of important issues. The also took over several administrational tasks. Her main occupation is her own business Abfall-Inform. Entrepreneurship isn’t just a matter of turnover and profit: We are convinced, that it’s also a matter of corporate citizenship. That’s why we are active in our community and help people, who are in trouble though no own fault. With our engagement in Kiwanis and Rotary we support underprivileged children and youngsters. Beside our personal engagement we also help pecuniary: for every subscription for Bargelink.com or Railcargo-Online.com we donate € 5,00 per year to Kiwanis and Rotary.